ARL1338 Cal-Royal Heavy Duty Roller Catch, Adjustable Nylon Roller With Square Heavy Duty Cast 2 1/4.. 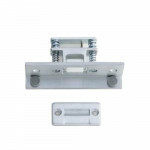 The Trimco 1554 Heavy Duty Roller Latch fits residential latch bolt prep and comes with an adjustabl.. 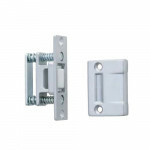 The Ives CL12 Invisible Latch for regular size panels or doors is ideal for installations where no v.. 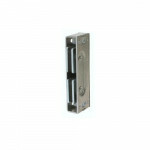 The Ives RL30 Roller Latch Nylon Roller - Actuation is simple, closing of the door causes the roller.. 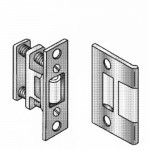 The Ives CB1 Carry Bar is used when it is possible for the inactive door to be opened before the act.. 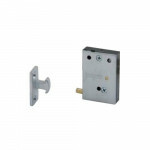 The Ives CL11 Invisible Latch for small panels or doors is ideal for installations where no vis.. 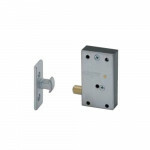 The Ives RL1152 Roller Latch/Applied Stop Nylon Roller - Actuation is simple, closing of the door ca.. 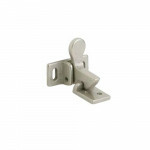 The Ives 2 Elbow Cabinet Catch is ideal for use on the inactive leaf of a pair of cabinet doors. .. 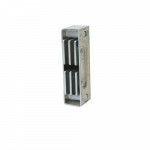 The Ives 325 Magnetic Catch is self aligning magnet insures maximum pull. 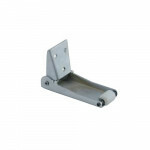 Steel, Aluminum Case. .. 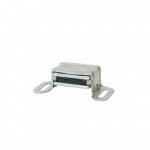 The Ives 326 Heavy Duty Magnetic Catch is self aligning magnet insures maximum pull. Steel, Alum.. 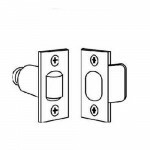 The Ives 327 Heavy Duty Magnetic Catch, Dual Triple Pole is self aligning magnet insures maximum pul.. 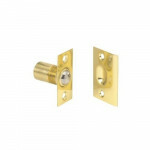 The Ives 335 Brass Roller Catch has a smooth, positive latching action insured by powerful conical s.. 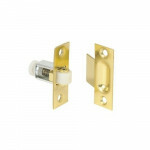 The Ives 336 Brass Roller Catch has a smooth, positive latching action insured by powerful conical s.. 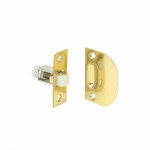 The Ives 347 Brass Dual Adjustable Ball Catch is for catch in door installations. Adjustab..